How Do You Reduce Medication Prescription Errors? Today an average individual takes one or more prescription drug, dietary supplement or over the counter drugs due the kind of lifestyle one lives, stress, pollution etc. Taking these prescriptions correctly can help recover quickly. However, in a lot of cases, medical injuries become inevitable due to medication prescription errors. Prescribing errors include slip-ups or inaccuracies when choosing and ordering treatments, such as wrong doses or illegible prescriptions. This can adversely impact the patient’s health as well as the credibility of the doctor. 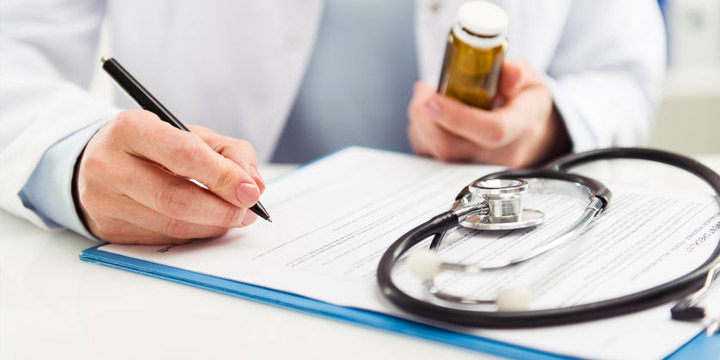 Prescriptions are handwritten or computerized notes or documents with the patient’s name, date and prescribed treatment for the ailment. This prescription is used to buy medicines from the pharmacist to cure the ailment or manage long-term conditions. Most of the times, reading a doctor’s prescription is a daunting task. Illegible writing is one of the major causes of prescription errors. Other causes include deciding which medicine and dosage regimen to use. Errors can also occur due to medicines that can react with medicines already being taken by the patient. Use of automated or computerized system is an effective tool for reducing prescription errors. It cuts down the error in dispensing and administration. It can also guide the prescription for optimal dosage. Accurate patient information guides physicians to choose the appropriate medication, dose, route, and frequency. Once all medical records and data are computerized, much of the error can be easily avoided. It is important that the latest medication be updated frequently. Highly critical diagnosis and conditions must be alerted on the medical records so that doctors are aware of the condition of the patient before prescribing new drugs. Allergies and reactions too must be verified and highlighted on the medical records. Physicians and doctors need to share information and communicate with team members to avoid errors, so that they too may be vigilant about the patient. Monitoring and reporting errors may in itself, serve to raise awareness and support improvement in prescription errors significantly. Pharmacists can also intercept prescription errors and alert the physician and patient about it. Sometimes simple questions to the patients about their ailment can alert the pharmacist if there is a prescription error. Patients playing an active role in their own healthcare can help reduce errors. Asking the doctor for an explanation if one does not understand, asking for the correct dosage, getting the generic name for the medication, side effects, the kind of food one can take during medication, or if the medication will interfere with any other medication etc. can bring important considerations to the forefront as doctors prescribe. With all kinds of automated systems and smartphones to facilitate real-time and effective communication, human errors by physicians and pharmacist can be controlled to quite an extent. An active patient engagement can reduce it much further leading to better administration of prescription drugs.